How to Create Photo Slideshow for iPhone? Photo slideshow is a good way for people to display photos in front of audience. More often than not, slideshow is used by photographers and PC users to turn photos into beautiful clips for presentation or online sharing. For some iPhone users who have taken some many photos with their iPhone, creating photo slideshow would be a good solution to backup or share those photos. To create photo slideshow, iPhone users can make good use of iPhone slideshow maker or a third-party sideshow maker. For iPhone users, they could actually make use of iPhone’s own slideshow maker – Photos on their iPhone to start to create photo slideshow with photos they’ve taken on their iPhone. How to make a slideshow on iPhone with iPhone’s own slideshow maker? It’s quite simple. Follow the steps below to make a slideshow on iPhone. 1. Launch the Photos app on your iPhone. 2. Tap into the album you’d like to use in the slideshow or tap into your Camera Roll. 3. Tap on the photo you’d like to start the slideshow on to open it. 4. Tap on the Share button in the bottom left hand corner. 5. Tap on Slideshow in the share menu. 6. Tap to confirm where you’d like to play the slideshow. If AirPlay compatible devices are in range, those will show up as options. 7. Tap on Start Slideshow at the bottom. In this way, iPhone users could easily view their photos in a photo slideshow. But this way has its limitations: firstly, it only could generate photos in the same album into a photo slideshow, and secondly, it couldn’t save the generated slideshow on your iPhone or iPad. What should you do when you want to create a photo slideshow with photos from different albums or even from your camcorder? In such a case, you should look for a third-party photo slideshow maker for iPhone. In order to more efficiently create a photo slideshow for iPhone, you could ask a third-party slideshow maker for iPhone for help. Here a better third-party slideshow maker for iPhone is introduced: Leawo’s Photo Slideshow Maker, a built-in plugin inside Leawo Video Converter Ultimate. The built-in plugin photo slideshow maker could help you easily create photo slideshows with all photos you’ve got from various sources: iPhone, iPad, camcorder, etc. Get your folders onto your computer and then you could follow the below guide to know how to create photo slideshows for iPhone. 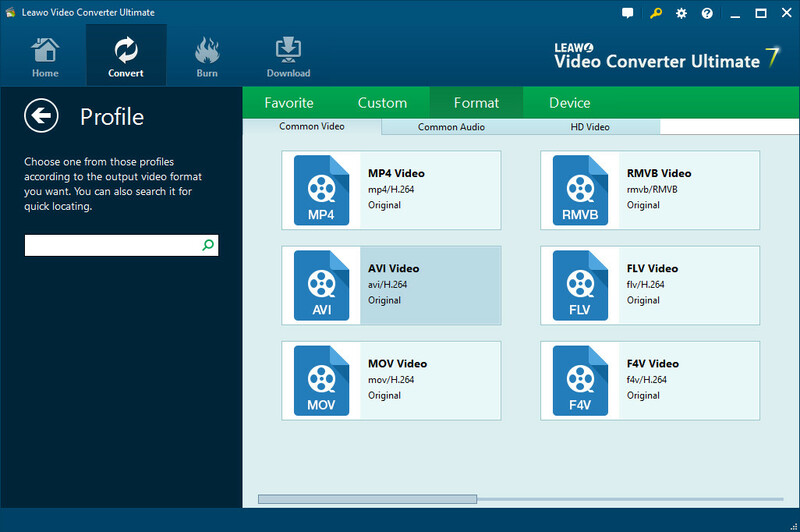 Download and install Leawo Video Converter Ultimate (for Mac) on your PC (Mac) via the below links. Launch it after installation. Switch to “Convert” module on the submenu after you enter the main interface of the best slideshow app for iPhone. Click the “Add Photo” button to browse and add photos you want to turn into slideshows into this photo slideshow maker for iPhone. Selected photos would be automatically generated into a photo slideshow upon loading. You could click the thumbnail icon to play back generated photo slideshow. Next to the “Add Photo” button, click the drop-down box (named “MP4 Video” by default) and select “Change” option to enter the Profile panel, on which you could select profile as output format. As you want to create slideshow for iPhone, MP4 is recommended as it is well compatible with iPhone. 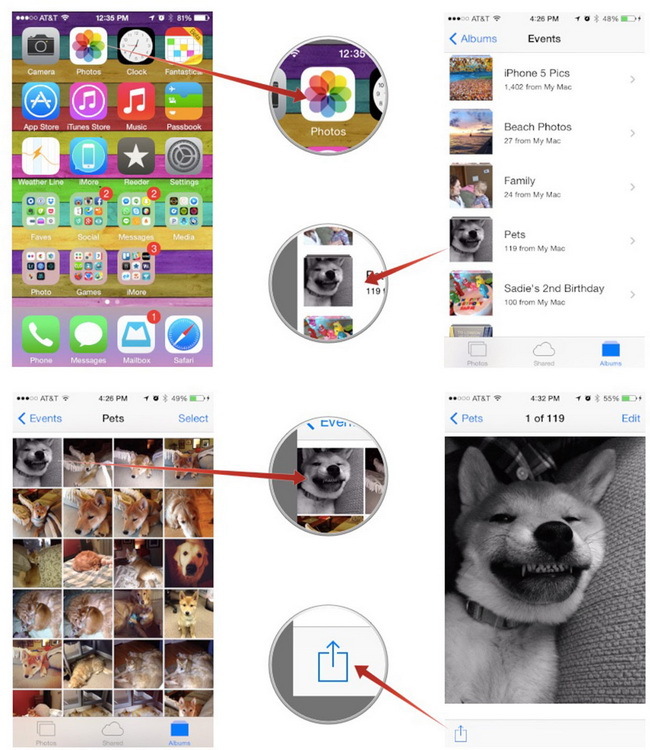 After output, you could transfer the created photo slideshows to your iPhone via iTunes or iCloud easily. 1. How to transfer photos from iPhone to PC for importing to the best slideshow maker for iPhone? You can use either iTunes to transfer photos from iPhone to PC, or other third-party software like iTransfer to do so. 2. In addition to iTunes and iCloud, is there any other way to transfer the created slideshow from computer to iPhone? Yes, there is. 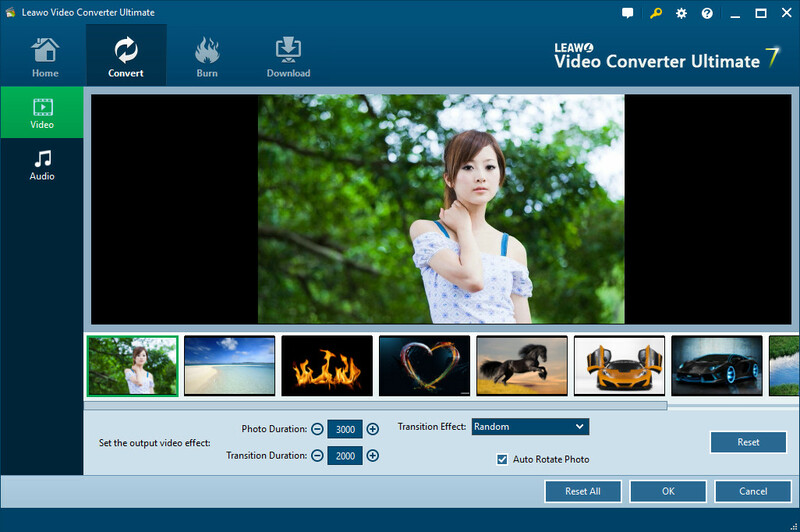 You can transfer slideshow from computer to iPhone easily with Leawo iTransfer. 3. In addition to Leawo Video Converter Ultimate, is there any other slideshow maker for iPhone? Yes, there is, such as Smilebox, Animoto, Slydely, just to name a few.